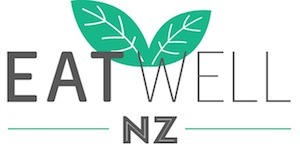 What I ate Wednesday used to be a regular feature here on Eat Well NZ until mum life hit and it’s been a long time since it featured. But after a few requests, I’ve decided to start it up again. What I ate Wednesday is not about what you should eat. 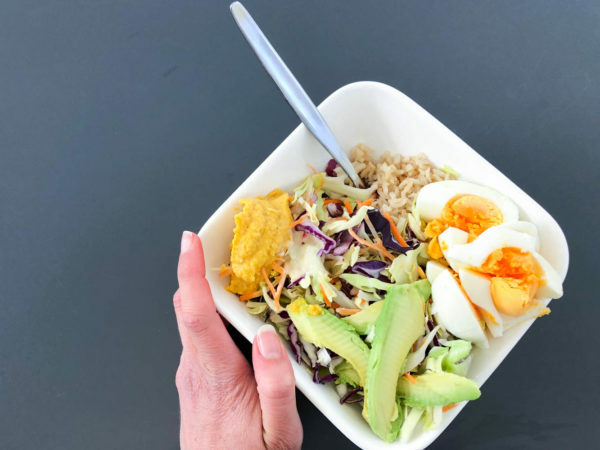 Because diet culture (sometimes sneakily disguised as ‘wellness’) has taken us so far away from what ‘normal’ eating can look like, some people have told me it’s helpful to see what ‘normal’ eating can look like and that food isn’t just about fuel but about enjoyment, pleasure and nourishment. And I know I’m nosey and like looking at other people’s meals and snacks for inspiration so I thought you guys might like to do the same too! 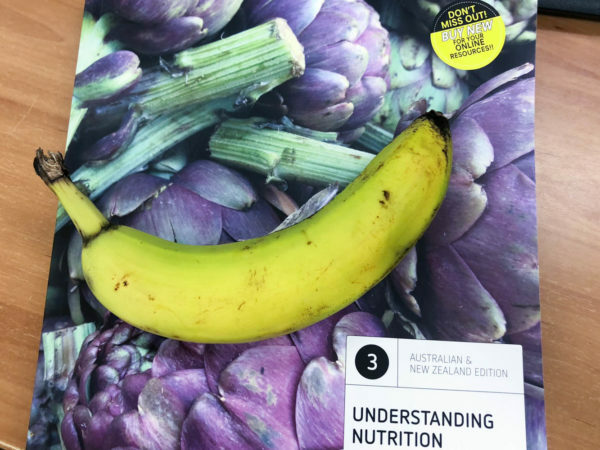 Everyone has different dietary preferences and need different amounts of food (which varies day to day too) – so keep that in mind when reading. So here we go. 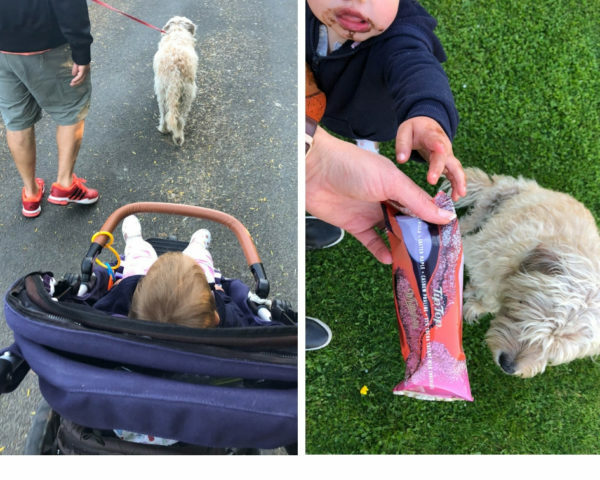 Here’s my latest ‘What I ate Wednesday’ post – and yes it is Friday haha! I never got time to post it until today. I mentioned over on Instagram that I’ve been in a bit of a food ‘funk’ lately. I haven’t been organised and I haven’t been planning which has often meant I haven’t had foods at home that appeal to me and since I’ve been tired thinking about preparing food in the morning has been an effort! So I got organised in the weekend and made some things to have on hand, including this chocolate peanut butter granola. 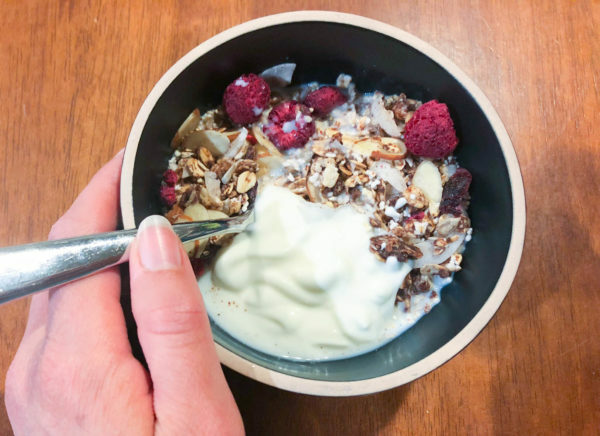 It has a base of oats toasted with a peanut butter/cocoa and honey mix with added almonds, sunflower seeds, cranberries and freeze dried raspberries. I had this with some probiotic yoghurt and milk which was a tasty combination! I wasn’t that hungry this morning so I just had a small bowl, then I made a latte and had this while catching up on a few emails at home. I definitely think the coffee machine is my favourite appliance at home. 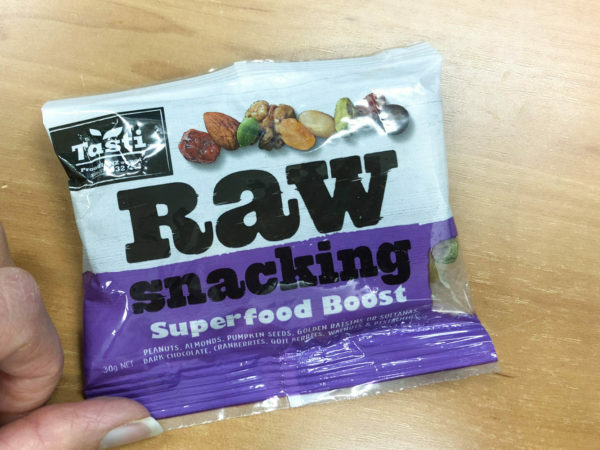 Tasti sent me these yummy nut mixes so they’ve been on the menu lately for morning tea. 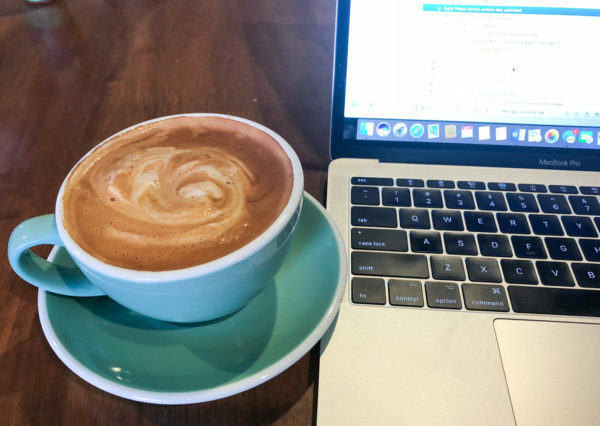 I also went out and bought a second coffee….. I’ve been super tired lately because I’ve been busy and I’ve had too many late nights. So I went for a walk to the cafe down the road and got coffee. 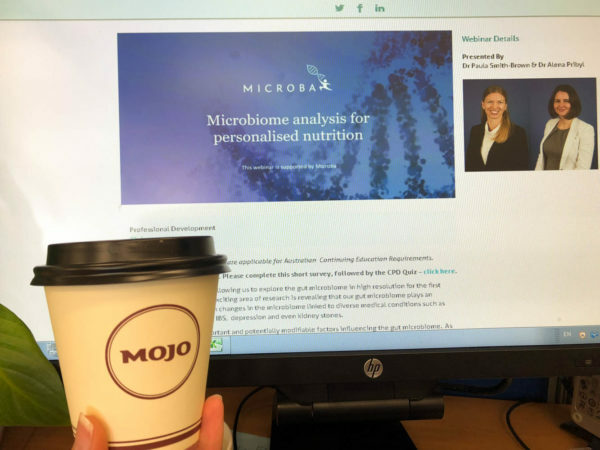 I have a Keep Cup but I have lost it – so yes it’s a takeaway cup but at least the Mojo ones are plant based and compostable! And the lid can go in the recycling. I think wanting a second one is sometimes psychological – simply wanting something nice for a pick me up. I definitely can’t have more than two or I start feeling agitated. I started to watch this webinar but then our internet connection went slow so I gave up (for now). Gut health is such a fascinating topic! 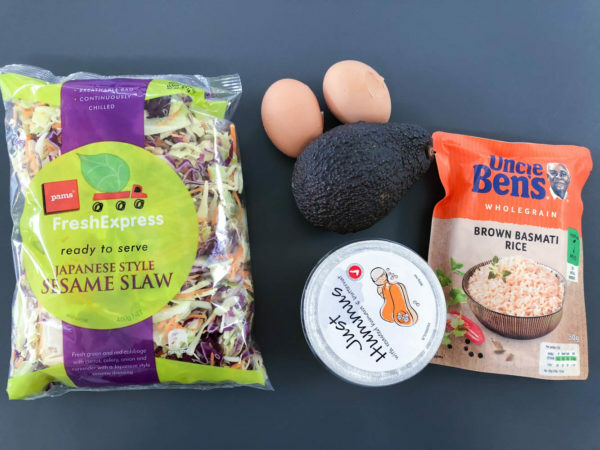 I’ve got a thing for coleslaw at the moment. I like the crunch and flavour of it when it’s combined with something creamy in texture like mayo and hummus. So for lunch I had it with brown rice, hummus, avocado and a couple of eggs I boiled in the morning when I was getting ready. When I’m more organised I cook my own rice and freeze it to use for lunches but sometimes I just buy the instant rice packets. 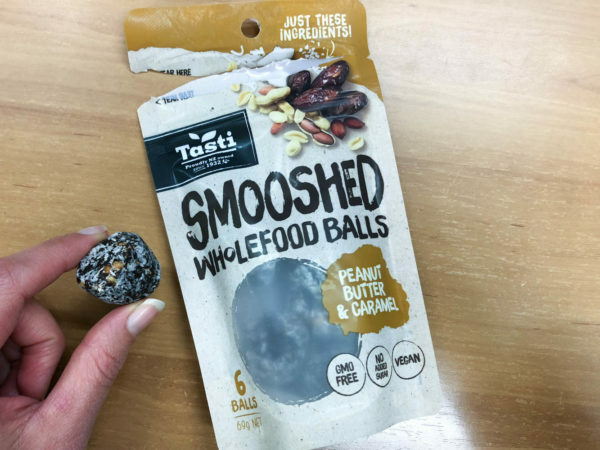 This was a satisfying, yummy lunch and I finished it off with a couple of these Tasti Peanut Butter and Caramel Balls because I felt like something a little sweet. Bananas are an easy snack for me – prepackaged, portable and ready to go!! I work later on a Wednesday so dinners are always something that’s quick and easy since I have a hungry child that needs to eat early-ish. I made spaghetti Bolognese with pulse pasta. 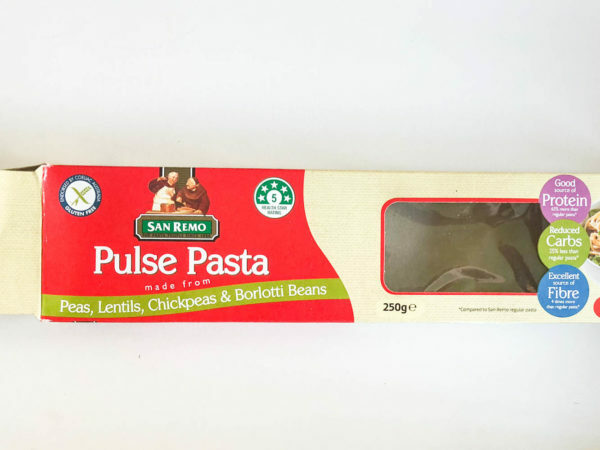 I have nothing against normal pasta but I love the fact that this is a great source of fibre and made from legumes which are nutrient dense. Plus I like the taste (which is of course important!). I made the bolognaise with mince, lots of mushrooms, onions and leeks (because I’ve still got quite a few leeks in the garden that need using). I cheated and used a jar of garlic, onion and tomato pasta sauce to go with it. I served it with some broccoli and cheese on top. Mince and pasta dishes are always a hot fave with Elise so we usually have something with mince once a week. 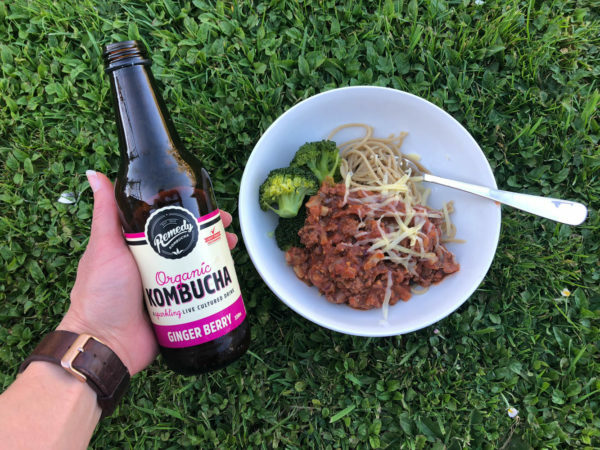 I was sent a box of Remedy Kombucha the other week so I had one with dinner – this flavour is my favourite one I’ve tried so far from the Remedy range. It was such a nice warm evening my husband suggested we go for a walk down the road to the shop and get an ice cream. I was still quite full for dinner so I got one to have later. I’ve seen the new Whittaker’s & Tip Top ice creams advertised and since I love Whittaker’s chocolate I got one. 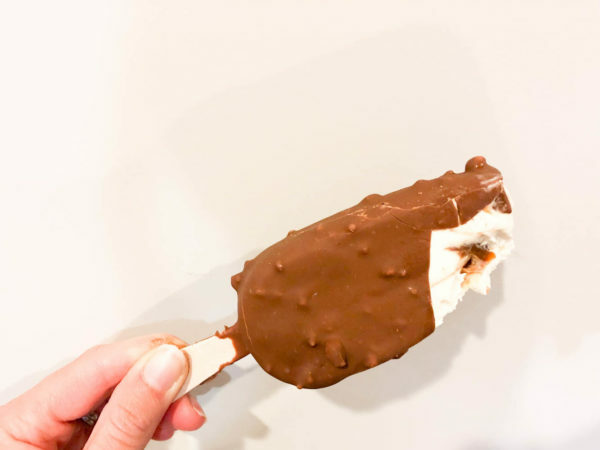 Having the Whittaker’s chocolate coating was delicious but the maple caramel swirl in the ice cream was a wee bit sweet for me. The dog enjoyed everyone’s left over ice-cream!